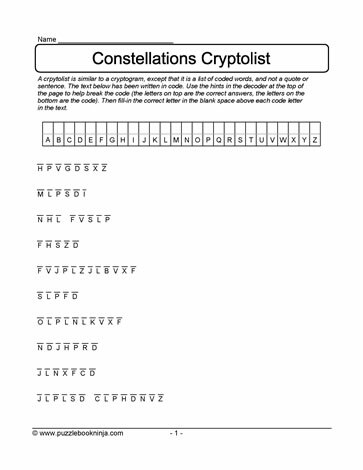 Downloadable, printable cryptolist engages the brain to make letter substitutions to solve the puzzle. Suitable for all ages. Great for homeschooling and middle grade students.